It looked like JP&Co. may have turned the corner in January. This proved illusory. The New York-based firm&apos;s flagship hedge funds swung into the red last month, with February&apos;s losses swamping January&apos;s gains. Paulson&apos;s Advantage Plus Fund fell 3.4% last month and the more highly-levered Advantage Plus Fund 4.7%, Bloomberg News reports. The former is now down 2.5% through the first two months of the year and the latter 3.5%. Paulson & Co.&apos;s Gold Fund is already down by double-digits in 2013. The $900 million fund, which invests primarily in gold-mining equities, is down 10% through February, CNBC reports. The fund lost 25% last year. Of course, if you are an investor in a smaller Paulson fund, you&apos;re probably not so much worried. You&apos;re up, in fact. And, amazingly, a not-insignificant number of Paulson Gold investors want things to stay just as they are. Despite the big losses—which have come as physical gold prices have doubled—Paulson is sticking with its strategy. 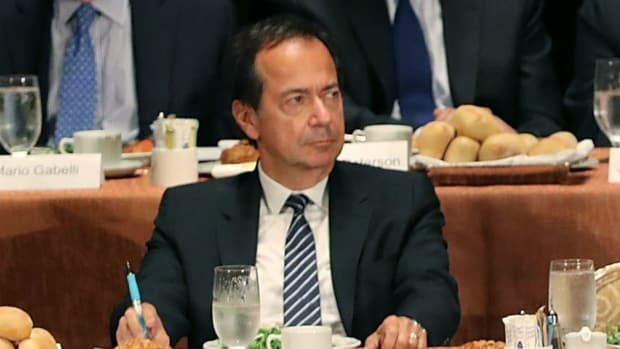 Firm founder John Paulson argues that when all of the money printed by central banks as part of quantitative easing programs comes into circulation, a growing demand for a limited supply of the precious metal will make his mining bets pay off. The firm has no plans to shutter the fund. That&apos;s apparently fine by many of the fund&apos;s investors. According to CNBC, some have threatened to redeem if Paulson abandons its three-to-five year thesis, even as some investors, such as Lyxor&apos;s hedge fund platform, have already given up on the fund.